I hope you had a great weekend! I hope you are all enjoying the somewhat Spring-like weather. 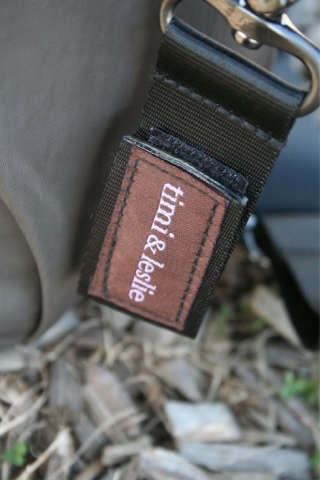 Timi and Leslie sent me two diaper bags to review right after I had my baby girl last July. Life was rough as the beginning, but as I wrote about in my last post, things are slowly getting easier. I was able to write my review on the Jessica bag a few months ago, and now I want to talk about their Classic Tote. I've been using this bag for about 3 months now, and it has been my go-to. I have 3 diaper bags (I know that you only really need one), but I love how each bag brings a different sense of style. The classic tote is just that, classic. 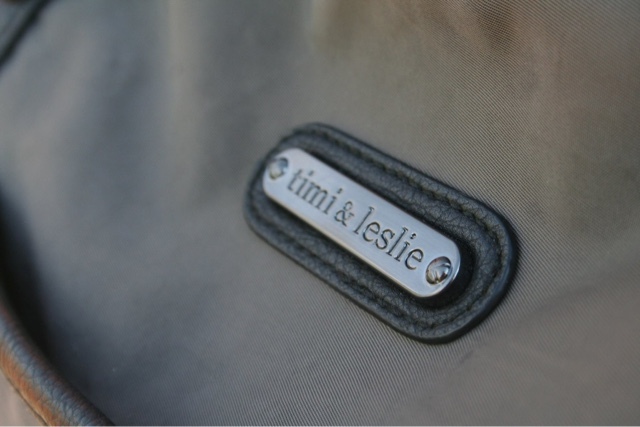 Channel timeless sophistication with the Classic Tote bag from Timi & Leslie! It is made from smooth, durable nylon with vegan faux leather accents (PVC free) and custom hardware in a gunmetal finish. 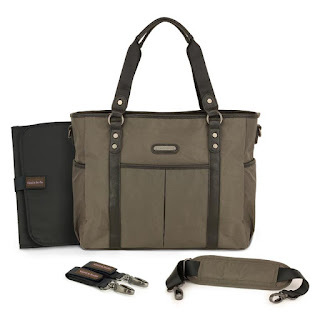 The Classic Tote bag has a roomy interior with multiple compartments to fit all of your and baby's essentials. Always be in style and never sacrifice function with the Classic Tote bag!  Inside key fob – never lose your keys again! My favorite features are the cross body strap, the stroller straps, and the changing pad. 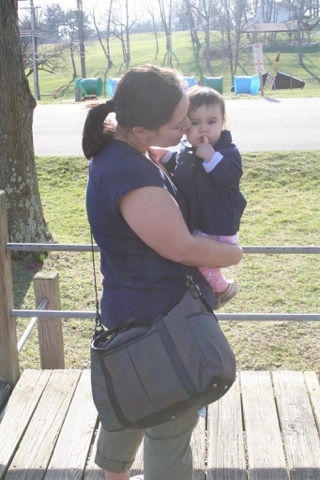 The two other diaper bags I have do not have a cross body strap, which I think is one of the main reasons why I've been using the Classic Tote so much. It is such a life saver when I'm trying to carry a car seat! 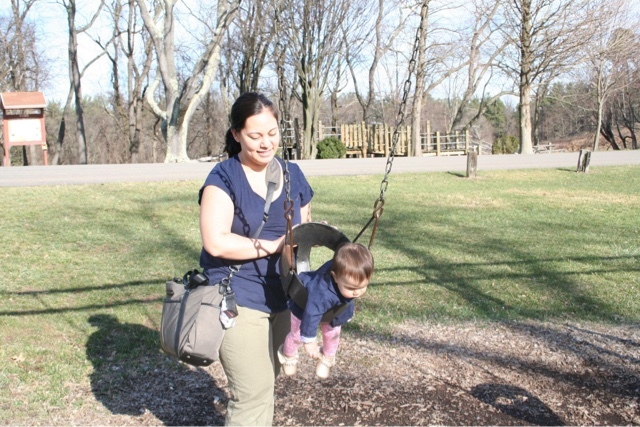 The stroller straps are quick, and very easy to use. The changing pad makes things so much easier, too! The pocket frees up my hands when I'm carrying my girl. Overall, I highly recommend this bag! The added features are what set this bag apart. 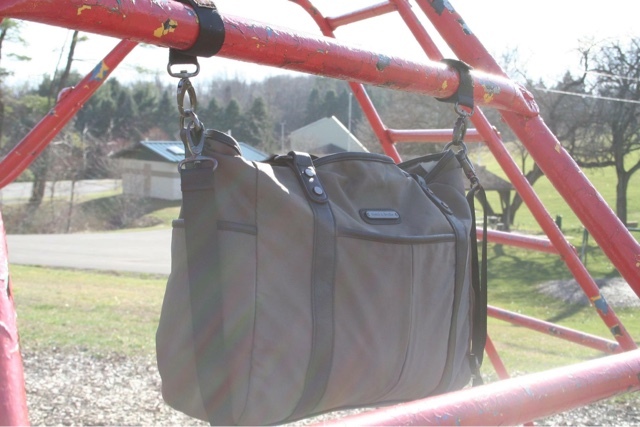 Lastly, the strollers straps are great even at the park! Thank you, Timi & Leslie for allowing me to review your products!